Discussion in 'iPhone and iPad Games' started by mustafatan75, Nov 8, 2016. 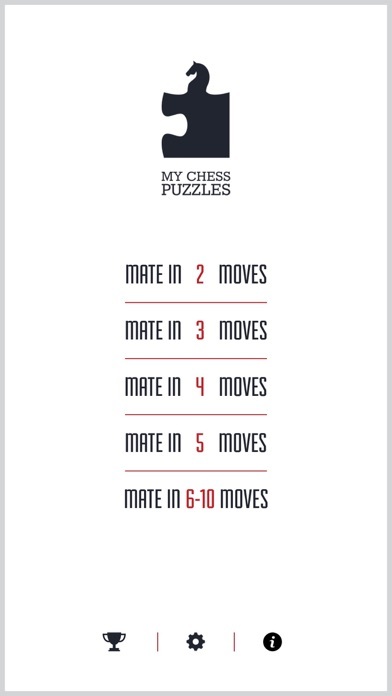 My Chess Puzzles (Chess Tactics) includes over 10.000 interactive chess problems ranging from mate in 2 moves all the way to mate in 10 moves! The object is to finish each puzzle by forcing a checkmate in a given number of moves. 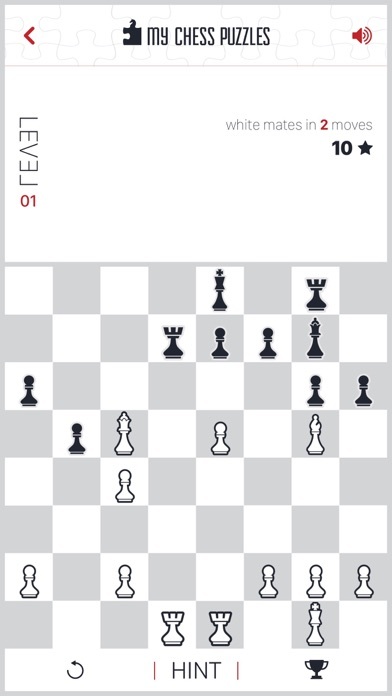 The goal of all chess puzzles is to checkmate your virtual (AI) opponent no matter what moves they make (a forced mate), in the requested number of moves. All of the puzzles were hand picked and were either taken from actual games or are compositions inspired by actual games. All chess puzzles are automatically verified, so all solutions are guaranteed to be correct and complete. You can also compete with other players using Game Centre Leaderboard system. You get 10 points every puzzle you solve. But if you use retry or hint, you get less points. Plus, puzzles get harder in higher levels but you get more points. 10,000 is a lot, even when you divide into rating buckets. But the app author didn't invent 10,000 problems, so I'd like to know more about where they came from, and the quality review process. They might be "hand-picked" but I very much doubt they were "hand picked" by the app creator, so this is a relevant question not addressed above. 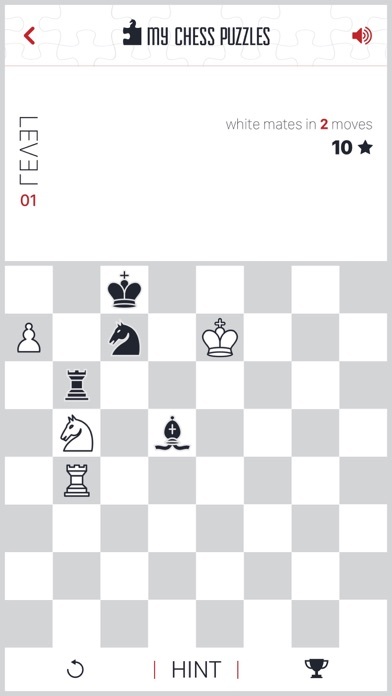 In any event, given that there is already very nice free app unoriginally titled "Chess Tactics" I don't think it is irrelevant that this app is graphically primitive. Not irrelevant to me anyway, YMMV. 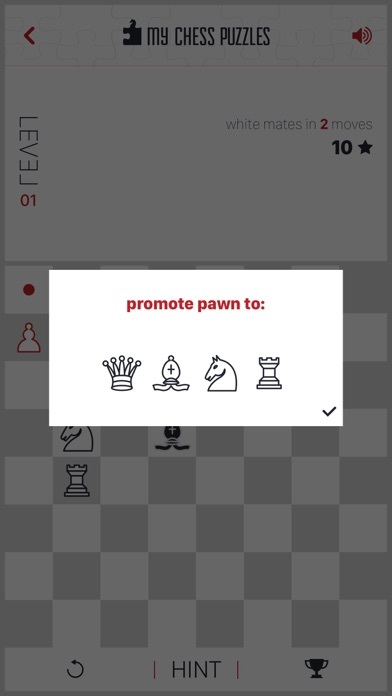 The "Chess Tactics" app (by the way, I'm not sure if there is a space if you search for it) utilizes user-submitted problems with "up/down" voting by users to determine if the problems are accurate and of acceptable quality. In theory, hand-picked is a potentially superior method, and 10,000 is a lot, but in practice, the problems on Chess Tactics are quite good at all rating levels I've been at, and the variety is huge. Arguably, I should try this app before posting. 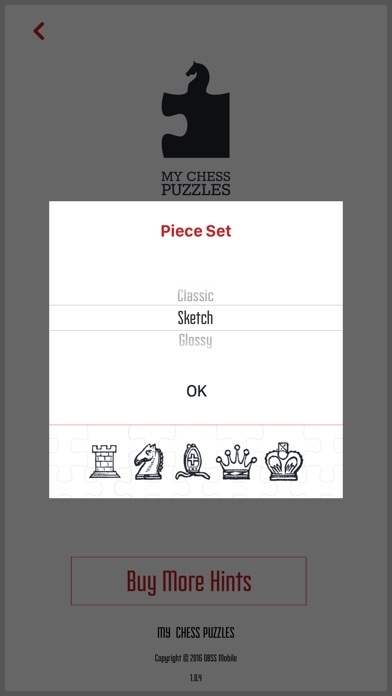 However, given the unattractive (to me) look, I don't think it is irrelevant to mention that there is another free app that checks all the boxes for what folks are likely looking for in a chess tactics app. Also, chess puzzles should be sorted by difficulty/rating, not by number of moves (as the screenshot above seems to show). There are some very short puzzles that are vastly harder than some longer puzzles. To the extent the app is doing both, that is fine, but to the extent it only sorts by number of moves, that is a problem.